"Large Backlog and Multiple Project Management "
My favorite part is how we have been able to handle our Backlog in HelixALM. We previously had 3 different programs and multiple spreadsheets. With HelixALM I have been able to bring the entire Backlog into one 'source of truth' . The reports are outdated and very hard to malipulate a template for a basic user. I would really like to see WORD Templates that are easier to customize so they can be distributed. I would also like to see the ability to move templates for Defect/Issues, User Stories/Tasks, etc.. from one project type to another. For Instance, I would like to use User Stories in my Traditional Template without having to create them manually. I would like to simply have use of all of the 'types' within any project type. It's Customize-able but some of the customizations are a little tough to get used to. Plan to spend time on training with your teams and the transition. It will take some planning on leaderships part to establish your companys workflows and processes with the product, but it will be well worth it. Our backlog was all over the place and hundreds of items. We have now brought that all into 1 location and the visibility and prioritization is 100x better now. We also were beginning to do our own in house development and this product is allowing us to have full tractability from code to test. Our entire team is transitioning to HelixALM and PerforceCore to streamline our process. Thanks for taking the time to review Helix ALM and for your suggestions. Regarding the Word templates, I was not sure if you were aware of the existing Word templates functionality or if you felt the existing Word templates could be easier to use. Starting in version 2016.0, users have the ability to export all item types to a Microsoft Word output or PDF output. Use Word templates that contain tags and field codes to control the formatting and data exported to the resulting Word document. These templates are configured in Microsoft Word and can be uploaded to the server to share with all ALM users. It is easy to move the Word templates between Helix ALM projects. We are using Helix ALM 2016 (formally Testtrack). The customization is really versatile. It allows you to tailor your system management process to the specific needs of the organization. One of the main reasons we chose Helix ALM is for their licensing scheme. We needed a solution that allowed us to collaborate with our customers. Other products required individual licenses which is inconvenient to have the customer buy their own license or buy one for them. Adoption of you process by the customer is easier if the impact to them is minimal. The licenses for Helix ALM are floating which allow the customer to access our web client for free. I have three things that could improve or be added functionality. 1. The web client is a little clunky. The user/customer is responsible for setting up their views, which means they have to become somewhat knowledgeable with Helix. To get them to adopt it needs to be easy and seamless for them. I think it would be useful if the administrators could set up web views for customers or user types. Even better would be to do this through the desk top client. 2. Reports, Export document templates, and dashboard widgets are a little difficult to set up. The new document template wizard helps but still takes some time to figure out. I also ran into some variables that were not available that I was hoping to use. Same thing with the reports. I would like more options and customization for the desktop widgets. An example; I was trying to set up a burn down chart, currently we do not use the time tracking feature so I wanted to track open issues within a folder. I found a work around but it was difficult. 3. I have been asking for some kind of Model Based Systems Engineering (MBSE) integration. I think this is the only module that Helix ALM is missing. This tool will allow the systems engineer to define and architect the early system concept that should be able to be linked to requirements. Hire a Helix ALM consultant to help with the initial architecture setup. We did and learned a lot which made our experience better. Previously requirements were tracked using Microsoft office or DOORs (which I find to be painful to work with). Helix ALM has allowed use to create a single source of truth for our system development projects. We use all three modules, requirement management, test cases, and issue tracking. Helix allows us to show traceability of our validation back to our requirements and manage our issues (which includes issue traceability back to requirements). We are starting to see our quality improve as well as reduce development time because of requirements and test case reuse across similar systems. Thanks for taking the time to review Helix ALM and thanks for your suggestions. Regarding suggestion #1, you might want to check out the latest Helix ALM version. Helix ALM 2017.2 introduced the ability to share saved list window tabs and requirement document views with specific users, customers, and security groups. The administrator can set the default tabs or view to display the first time new users in a security group log in to help with onboarding new team members. As you suggested, the administrator can do this setup from either the desktop client or the web client. "Outstanding Product with Superior Customer Service"
I consider Helix ALM an extremely powerful workflow engine with excellent automation and dashboard capabilities. While it supports ALM out of the box, we also use this product for many other workflows to support our business. With integrated Kanban, it is perfect for agile development. I view Helix as the best Price / Performer on the market today. A "warm knowledgeable body" is reachable in customer service within minutes consistently if needed. This is just not the norm these days, especially with larger companies. Would love to see a mobile app in the future to increase the level of accessibility. An integrated chat would also be cool. Definitely include Helix in your ALM or workflow engine evaluations. and make sure you look at price versus performance. Helix ALM was at the top for us and we considered many. Greatly enhanced development efficiency. Helix ALM paved the way for tighter collaboration between I/T and our business folks. Dynamic dashboards allows us to understand exactly where we are within a development project. "Test Track has keept up with us for years"
Highest marks go to database stability and custom workflow. We started with Test Track almost ten years ago as a company of ten engineers. Now over 90 software developers, electrical engineers, production technicians and quality engineers collaborate with our custom work flows. As an administrator I have had to work around the default data types in the client. As the company changed I was not able to freely move types of data into and out of the 'custom fields'. I am 'stuck' with the data fields that are hard wired into the client. Also, I cannot freely rearrange the client form, so we all have to use the same 'look' of the edit screen in our work. Lastly, the only group is a SECURITY GROUP, that is painful. I would want to provide users into groups in a one to many relationship. I would like to make filters and rules on these flexible groups for workflow. (When activity is applied to defect and defect passes filter ALPHA-GROUP send email to ALPHA-GROUP). When people in the group change I would change the GROUP, not the automation rules and filters. I frequently have to edit automation rules when an engineer changes roles in the company. We use one Test Track project to manage hardware and software problem reports for all product lines. The calculated fields feature provides us with an automated triage of defect reports by calculating a prioritization for lead engineers to review. We use a second Test Track project to implement change notice and configuration management of devices in production. We use a third Test Track project as our ISO 9001:2008 Quality Management System log for audits and Preventive and Corrective Action problem solving. There are alot of other ALM systems out there that have all the features of testtrack and more, but all of those come with a very high pricetag. For the pricepoint where testtrack is, it was a great tool for it's value. The ability to show traceability in requirements and the ability to use that tracability to create matrix like reports has been great and has impressed or customers. "Effienciency in project planning and communication"
The requirements are stored in a database which allows me to simply add products to a requirement and those requirements then become part of that new products requirements. This is useful for requirements such as agency certifications with a simple selection in a pull down menu that I can create and add or subtract from. Helix is an effective communication and information gathering tool. We have gone from using Word and Excel documents to communicate requirements to using the Helix tool. The Helix tool keeps a record of requirements reviews and approvals as well as changes to requirements. Using the Word document approach, changing requirements were not always communicated to all stakeholders. "Helix ALM flexible enough for just about any need"
We've been using Helix ALM for about 10 years now and they have grown with our needs. They have always been responsive to issues and very helpful when we ran into a problem. We currently only use the "Issue Management" portion of ALM, but use it to track the full lifecycle of an "issue", be it a bug report or enhancement that gets spec'ed, assigned and implemented. We have a workflow that enforces reviews & testing to make sure that bugs don't make it into the hands of customers. Items have more traceability now, we can easily see what codelines a change/fix has been made and know immediately if we need to schedule some time for additional fixes. The API has proven invaluable. We have been able to automate a number of systems to better serve ourselves as well as our customers. "Underwhelmed by Perforce rebrand and updates - doubts about commitment to integrate OSS DVCS"
Works almost as well as it did before. I'm hopeful that they continue their external programing SOAP interface support. I also see they may have provided an admin web client interface that they used to have before. Also, in the past when it was Seapine, they had seriously excellent support. I hope that continues. Some issues with 2017.1 update migration and documentation with failed links - indicates poor QC. Wiped out settings for email notifications. 32bit->64 bit migration was not as straightforward as it could be with a message after install that further manual configuration was needed - and then a useless link for instructions which failed and then the Perforce site search was clueless on how to find the documentation - Google was able to find the relevant document - but the Perforce site left me with a bad feeling) Also, we use Mercurial for source control - and Perforce buying this may wipe out any chance that Mercurial will be supported by Helix ALM. If you read best security practices with web accessible database interfaces, you will see that a separate machine/VM is strongly recommended for the "backend" database storage - so you should implement on a minimum of 2 machines - one web server and one database server. Helix ALM enables this - but they provide little to no support if you want to do this in the Cloud. The only support they provide in that situation is for a single machine running both the Web Server and storing the data..... disappointing. Centralized resource for software development issue management through a web client - we are a 100% telecommuting company. This resource (formerly Seapine TestTrack Pro) has been very reliable for us. And when we needed to manipulate hundreds of issues with our own program through the SOAP interface Seapine provided excellent support. I was unhappy with the previous upgrade removing the web administration interface, that interface capability may be back. Some of the things I like best about TestTrack are how easy it is to use and very configurable to adapt to your company and projects. There are many views and options on how to get data to the user including the new Task Board where you can drag and drop tickets from one status to another. We have used TestTrack for over 12 years now and are very happy with it. We tried a couple of times to integrate with Surround SCM and did not have much luck with that and did not find benefit. Give TestTrack a trial on a test server and experience how it can work for your organization. It is very configurable and can be very strict or open depending on how you want it to behave. It's been a great system for us for many years. TestTrack is great with tracking issues and projects through the entire lifecycle and it provides visibility to all the stakeholders both onsite and offsite. "Review of Test Track Pro Managers perspective"
Easy to use and understand. Extremely quick to deploy. Using it around 12 years I do not recall any bugs. Customer support team is extremely effective. We have also contracted their professional services and training, and they are also highly effective. I am a manager of 30 years and I do not give good reviews easily. The product is also cost effective, the system is easy to admistrate and it will save you money compared to some high power solutions. Our user base is around 300 people and it has never been a problem. Floating license model is perfect. The database is relational to an extent but if you try to use too many levels in custom field and attain a relational model, you may run into inconveniences, but no show stoppers. Fully review with stakeholders your intended model and workflow before deployment and all will be well. Manages the complete development to QA handoff including release to production. "Use on numerous medical device development & testing projects." Very configurable in workflows, fields, filters, and reports. Agile and different examples and templates. On demand configurable trace matrix. Need Baselining on Reqts & Test Cases, not just Docs. Differences between client and web functionality. With the numerous fields, sometimes hard to find correct field. Import / Export to other tools. XML seems to have compatibility issues. Still have limitations of integration between the 3 tools (RM, TCM & Pro) in tracing and displaying fields intermixed. Text editing functionality(would like it more Word like) and round tripping to Word or Excel. Would like greater use of multi-line fields other than in just documents. Get the consulting to help train and setup initial TT. It will make users much more productive. Start simple, don't get carried away with all the possible automation or you'll create a mess. Consider tool validation and documentation from day 1 to simplify effort. Medical device development and testing Requirements, Test Cases, Testing, Risk Analysis, Issues and tracing between..
Changes during project and impact analysis, cost analysis. "TestTrack used for ISO13485 Quality management"
Because Testtrack is highly customizable it can be adapted for a wide range of applications. The possibility to link Testtrack with Surround SCM an issue / item can be linked with a source file or document, and the specific version is recorded. The main feature I am missing the the possibility to link Testtrack workfows and Surround SCM file states. Our main use for testtrack is quality management. We have implemented our ISO13485 certified quality management system in testtrack. Due to the highly customizable nature of Testtrack we can register and track all of our procedures. We also use Testtrack for recording our production information. This is a critical part for medical devices. With test track we can follow a device though its complete life cycle. "Dont know what i would do without it." I like that all items are in one place, issues test cases, test runs requirements and risk. The tool is not the best at all things but having the database with everything in it linked is great. I dislike that i can not edit the GUI much. And that i can not version all item types. I like that you can version requirements and requirements documents, but it would be really nice to be able to version test cases. I understand not versioning test runs and issues. It would be nice to archive reports as well, for reference later. I would also like to be able to control access to links in order to ensure that no one can change the trace by accident. Just look at the Trace Matrix that you can create and how fast you can do it. You will be sold right there. Compliant, faster more predictable product development. I have experienced the above. "Flexible system which allows tracking of defects, use cases and requirements"
The TestTrack system is not tied to any specific process, but can be defined by your organization (theout-of-the-box process is fine). TestTrack allows traceability between requirements, test cases, test runs and defects, which is nice for determining test coverage. TestTrack allows for addition of custom fields and reports, which also makes it nice to adapt the system to a specific corporate process. It would be nice if TestTrack had a WYSIWYG report creator. I am familiar with XSLT, which is what the report templates are written in, but most users are not. It would also be good if TestTrack included a tool for creating requirements templates to match an existing corporate requirement document template. TestTrack works for both traditional (Waterfall, Iterative) and Agile projects, and interfaces with Atlassian tools (Git, JIRA). The TestTrack system allows for a single data source for all requirements and test artifacts, and allows multiple users to simultaneously review and edit data within the system. TestTrack allows for both fat (PC-based) clients and web clients to make it easier to use in any environment. We are also planning on incorporating a plugin to allow synchronization between JIRA and TestTrack for projects which require access to Atlassian tools. TestTrack is very flexible and addresses many problems found in single tools (document and spreadsheet management tools). I find the user interface easy to use. It has lots of features. The permissions are straight forward and allow for easy customization for a company. Easy to keep track of history of a file. Sometimes branching can get a little messy, especially when files are renamed, shared, or moved. Although it is great with storing source code for applications and whatnot, it is not designed for creation of something like an operating system. The large number of files and size of files are too much for Surround. If you work in a field that requires a lot of tracing and file history, then this is ideal. There are tons of features that this product has that my company has never used, because it has so many of them. The integration with Test Track / Test Track Pro is really helpful. "A good application that has gone downhill"
The best thing about Surround SCM is that it still works. Surround SCM is not a self-contained application. It requires the user to run unsupported 3rd party software in order to make Surround SCM work. Got that? Seapine REQUIRES Surround SCM users to use a third-party RDBMS (relational database management system) server application, but is careful not to specify which one so they don't have to provide support. That's quite a change from their earlier policy, wherein Seapine Support recommended PostgreSQL for the RDBMS server. In fact, they actually included a PostgreSQL installer with Surround SCM. Backups all have to be done outside Surround SCM. You have to use the RDBMS server application to back up the database, either via command line interface, or with a GUI if you can find one you like. That's an additional cost. Even with open source software (like PostgreSQL), you still have to know how to run the backups, and either run them manually, or know enough about command line to write a program to automate the backups. None of that was necessary when I first purchased Surround SCM 12 years ago. Everything could be done inside the application, and the user could back up the database at the file system level, or get a backup application to do it. Instead of improving Surround SCM by building more features into it to make it more user-friendly, Seapine has "geekified" it by shoving more functions outside the application, requiring vastly more user knowledge and expertise in other software applications just to be able to use Surround SCM at all. Seapine Software keeps changing the rules. Surround SCM Server used to be self-contained; now it requires a third-party RDBMS database server application, without which it cannot operate. Initially Seapine recommended (and provided support for) PostgreSQL. Now, any request for support (even with the required annual "Premium Support" contract) receives the reprimand "PostgreSQL is not a Seapine product." That means no more support...not even for questions about how to upgrade PostgreSQL. Most recently, Seapine dropped OS X support for Surround SCM Server. Had I known all this was going to happen when I purchased a "perpetual license" in 2004, I would NOT have chosen Surround SCM. Surround SCM provides a central document server with version control, configuration management, and document history, accessible from remote locations. The program is great at setting up Working Directories and Repositories. Baselines and different snapshots are a great feature for organizing different versions and final releases. Excellent network option for multiple users. No integration with AD, just another account to keep track of. Program can be a little hard to learn with so many different features. Would recommending taking a crash course. Creating repositories, baselines and working directories can be hard to figure out with you do not know what you are doing. UI isn't super straight forward. This is a great application to use if you are considering a networkable software with multiple users. I would recommend that you take a crash course in order to properly utilize the software as it can be a little daunting at first. The program overall works well and is relative easy to use once you understand it. Storage of Firmwares, recipes, software. Is great for version control, lets me access files anywhere I have access to the network, including via VPN. Thanks for taking the time to review Surround SCM. If you have any further questions, don't hesitate to contact the Seapine Support group. "Tracks issues, manages test cases and requirements, allows modification of workflow"
Helix ALM is not tied to any specific process, but can be tailored to how your organization works. The default, out-of-the-box process is fine. Helix ALM allows creating ties between requirements, test cases, test runs and issues, which is nice for determining test coverage. Helix ALM allows for addition of custom fields and reports, which also makes it nice to adapt the system to a specific corporate process. It would be nice if Helix ALM had a WYSIWYG report creator. There is a method to directly manipulate the report template, which is written in XSLT and stored on the back-end server. However, it is not very convenient. Similarly, It would be good if Helix ALM included a tool for creating requirements templates to match an existing corporate requirement document template. We also performed evaluations of Atlassian-based tools, and found that they weren't as easy to use as they appeared. The integration of the Helix tools are intuitive and work as they should, and also provide integration with Git and Jira. Helix ALM allows for a single data source for all requirements and test artifacts, and allows multiple users to simultaneously review and edit data within the system. Helix ALM also allows interfacing directly to Jira and Git, while extending the functionality to provide more details and insight into these project artifacts. Users can access Helix ALM through a PC client or web interface (if web service is running). As more importance is placed on tracing requirements to development and test execution to satisfy that implementation was performed correctly, Helix ALM is being recognized as a single solution for inspecting these ties between the various work items. TestTrack is a very easy application. It is user friendly and it provides numerous functions for different areas of a project lifecycle. It is very similar to HP Quality Center, analyst can enter documentation and the test cases can be linked to the requirement as well as defects or bugs. Additionally, it allows the user to create numerous reports and metrics. One of the features I find a bit tedious is that every time requirements need to be updated, the entire document need to be attached for every update. It is very difficult to updates requirements on the application. TestTrack helps keeping track of the test cases for each project as well as keeping track of defects for each project. The searching functionality is very strong in TestTrack. I almost never have any issues searching through our large set of tickets. With some combination of filters and keywords I can almost always find what I'm looking for. We use floating licenses for TestTrack, and therefore have a timeout configured after a certain amount of inactivity. TestTrack does not save anything if you are logged out due to inactivity, which has caused coworkers and myself to lose work. For example, consider the case you're halfway through filing a new ticket and need to go to a meeting. While you're in the meeting, TestTrack logs you out and all of your work on the new ticket is lost. This is particularly annoying and frustrating if the ticket details are quite lengthy and you have to start writing them over from scratch. We've resolved to type text outside of TestTrack and then copy it in when it's all complete, but this shouldn't be something we have to do to ensure our work isn't lost. It would be great if TestTrack would save that work for you. TestTrack can be a great tool for tracking bugs and maintaining test cases. It's a powerful tool, but at times the UI does feel a bit outdated an clunky. We use TestTrack to track bugs and to track QA test run failures. One benefit of this is the ability to link particular test run failures to issues filed for software bugs. This cuts down on back-and-forth between development in QA when determining exactly what went wrong during QA testing. Thanks for taking the time to review TestTrack. I have attached your comments to a request in our internal TestTrack database for an auto-save capability. In the meantime, you may want to look at TestTrack's inactivity timeout options. This feature can be disabled or the inactivity period can be increased. To adjust these options, start the TestTrack Admin Utility, go to the Server Options window, and navigate to the Client Settings category. If you have any questions about the inactivity options, please don't hesitate to contact the Seapine Support group. "Decent, straightforward issue tracking system"
The basics of issue tracking are done well, with both new issue entry and moving through issue lifecycle a breeze. A lot of information is presented on each screen, but it's intuitive to find the information you're looking for. It's accessed strictly through a Windows thick client, which is a bit out of date when the expectation is that most everything else is available through the web, cross-platform, zero install. Also, the software is highly customizable in terms of what fields are presented, when different fields are required, and the values available. That is, they provide enough rope to hang yourself on, so the biggest issues are areas where we made some customization in the past that may have made sense then but does no longer, and have to live with it forever. Take a deep look at what your true requirements are, and enjoy trials of several products before deciding. We needed a simple, provable solution for tracking issues in formal test, and this has delivered it for years. Thanks for taking the time to review TestTrack. You mentioned that you expected a TestTrack Web user interface. TestTrack has always offered both a Web client and a Windows/Mac/Linux native thick client. It is possible that your administrator elected to not install the TestTrack Web component on the internal web server, so you might want to check with your internal TestTrack administrator regarding the availability of the TestTrack Web UI. You can find our TestTrack Web user documentation on the Seapine website. when there are several issues in the database and the fix for 2 separate issues are in the same executable, it is hard to track the latest version of the executable that is available for the product. there needs to be a release process to allow you to see the latest Executable version across all issues. Some Screens don't scale well on 4K resolution monitors and laptops. Buttons are very small and not able to be read so the user is not able to select the correct item. this causes them to mistakenly close their issue and in some cases changes are lost. If the connection closes on TTP and the user has not saved their issue changes yet, the changes are lost. is there a way to cache the changes locally and apply them when the user connects again? if another user has made changes since the connection has been lost, allow the user to select if they still want to continue where they left off and merge there or discard their changes. Add a way to determine the latest component version. when there are several issues in the database and the issues that are fixed in the same component / EXE, it is hard to tell which version of the component is the latest. to track it we have to use a separate method, it would be nice to track this in TTP. One location for product status and issue resolution. "Test Track is Critical in our development workflow." TTP is CRITICAL in our design and development workflow. I love the integration with SCM, the source code provider. I love the integration with the OLDER version of MS Office, 32 bit. That's ultra handy. So handy, in fact, that I won't upgrade to the Office 64 bit until it has TTP integration. I also really use the Folders view and the Workflow. I'm forced to keep MS Office at the 32 bit level until they get a new plugin. There are occasional hiccups with the software but it's rare and the support is great. We've solved multi-user multi-location issues by having Test Track be the go-to place for our bug and wish list. Additionally, it's the place everyone checks in the morning or when they're done with a task to see what's next. There's never any confusion. Ease of backup and restore the whole DB. Ease of user management. Relatively small SQL DB footprint. Use of my own compare tool (Scooter Software, Beyond Compare). That the other company locations do not use the product. We have to hide our independent purchase and use of Surround SCM. Promoting code through Dev, QA, and Release can be a little of a challenge, since I do not do it very often. I sometimes end up with a set of files in Release that the developers must adjust their routine to compensate for. I always think there must be some kind of easier way for me to pick and choose and then verify that the promoted/changed files conform to some policy/procedure. It was good learn how the Surround team thinks a code repository should be used. if you are trying to make it do something the way you are used to, maybe you need to think about a better way, or know how version control in SCM was designed to work. Software for Schools' mgmt of K12 student information (ASP.NET and console C++), various internal and shipping .NET tools, all installer (InstallShield) code. "Very Powerful - Very Expensive"
I like the integration of Requirements Management, Issue Tracking & Test Case Management. The entire product workflow can be represented and tracked. With all the power and flexibility, comes a lot of setup and expertise required. We have a workflow that isn't quite right and doesn't take advantage of all the latest features because no one has time to figure out how they all work and implement it. This is software best deployed with a dedicated administrator that can help teams with the features. We are a fairly small company, so we don't have that. We also have trouble getting enough licenses for all the different tools because of budget issues. Make sure you plan to provide your administrators and users with enough training. Get buy in from your management team so they realize the ROI on really using the tool and how much support it will need. The features that are really the most powerful are the ones that of course are most complicated. Plan for periodic work-flow evaluation/improvements so that your teams don't spend a lot of time working around things that could be better. We are tracking issues and testing of several software & hardware projects. We are just starting to use the Requirements Management portion. "Good feature set, but lagging seriously in some ways behind other issue trackers"
The ability to create "workflows" is excellent, and easily beats most competing software. You can set up detailed "flows" for tickets, allowing you to customize your work to your hearts content: whether you want tickets to be triaged first, or have different flows for different business units, all of this is possible in the workflow manager. When you're done you can print out fancy charts of your flow to hang on the wall (or frame, i suppose). There's also a relatively good SDK that allows you to connect using .NET and query the database. For awhile I had a TT->TFS integration going on but it proved too hard to maintain. While the web based app has been getting better, it still lacks certain features (especially compared to other similar products) and doesn't have feature parity with the Windows client. That is, by the way, slow, bloated, and a memory hog. I spent a lot of time talking about workflows, but this is also a downfall of the product: sometimes, simple is better, which I've been trying to get in my managers head for years. Tickets can get "stuck" in flows, meaning you need to go in and move tickets around manually. This is a space with a lot of competition, so evaluations are key. TestTrack is also rather expensive -- they sell licenses by named user or floating, the latter of course are much more expensive. If you get "hooked" and need to buy more licenses later, prepare to get shafted! When set up properly, it can really streamline things in your organization. No one likes triaging tickets, but Test Track allows you do it with minimum amount of effort. "Helix ALM has been excellent for our team to manage requirements, issues, and test cases"
The support staff is always extremely helpful and ready to help us with any issues we encounter. We love the ability to create our own Microsoft Word Export Templates and exporting protocols, reports, trace matrices, and much more out of Helix automatically. It helps us create consistent documentation that follows our strict Quality Policy in our heavily regulated industry. 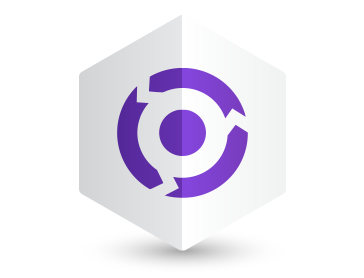 We recently purchased the InSync Tool and we wish it were a bit more user friendly. The interface has been difficult to work with, however the Tool itself will be a great help once we get it fully functioning. We have been able to cut down the time to write reports speeding up our Verification and Validation efforts tremendously. "A good tool but could have been better"
It's useful for experiments and test runs. This unpredictability adds to the by and large "usability" of the item, however it is effective in what can be proficient. With some blend of channels and watchwords I can quite often find what I'm searching for. Being ready to arrange numerous tabs for every undertaking I am taking a shot at is extremely useful, and for all intents and purposes anything I could envision is achievable. It has incredible client support. The customer side application is excessively messed every open thing has bunches of vertical tabs and even tabs. While you're in the meeting, TestTrack logs you out and the greater part of your work on the new ticket is lost. TestTrack does not spare anything on the off chance that you are logged out because of idleness, which has brought on collaborators and myself to lose work. Useful for software testing but not much for bug testing. It's used for experiments and test runs. In the end, the apparatus is only alright, with every client bunch giving up some coveted usefulness. The biggest advantage for us was the configurability of the product for our specific use case. I embrace a lithe situation and I'm additionally a Scrum Master. Information sharing has been made more advantageous. Thanks for taking the time to review TestTrack. I have attached your comments to a request in our internal TestTrack database for an auto-save capability during inactivity timeouts. In the meantime, you may want to look at TestTrack's inactivity timeout options. The inactivity feature can be disabled or the inactivity period can be increased. To adjust these options, start the TestTrack Admin Utility, go to the Server Options window, and navigate to the Client Settings category. If you have any questions about the inactivity options, please don't hesitate to contact the Seapine Support group. The flexibility and ease of use. The possibility to get everything with a click of a button, once it has been Setup properly. If you want a stable and performing ALM Tool that can do almost everything you need in the SDLC, then this is your tool. It is highly configurable and the Team is very supportive of helping you achieve what you Need. TestTrack has proven itself to be very useful in our Projects as it was setup quickly. Even mid-Project it was still a win Situation, as it helped us speed up the test mgmt process. We initially used it as Bug-Tracking but began to realize soon, that the test mgmt functionality was just as awesome. "Very solid product - works very well for our needs." One of the best features is that this Product work hand-in-hand with their Project Tracking tool called TestTrack. The shared Libraries and history are great. It doesn't alert the User if the Application repository changed or missing files when new files are added. When you check-in your code you attach it to a project and provide more accountability. "Helped streamline the tracking of test status"
Tracking completion of complex test suites with huge perumtations of variants. We gained enormously on the visibility of testing and how to highlight areas which are problematic in some way. "Pretty Good - Once Configured"
Configurations are endless. It can be custom-tailored to each specific process and can change as processes change. It allows for test management, requirements management, and defect tracking withing the same application. The reports and sort/filtering options are great for finding what you are looking for. TestTrack aslo has a SDK for automation if automatically filing bug tickets or test runs is of interest to you. The web interface as an alternative to the client-side application is decent and helpful at times. The client-side application is too cluttered each open item has lots of vertical tabs and horizontal tabs. There is a high learning curve because of all the clutter. It would be nice to have a little more organization throughout the windows. Licensing per user can get annoying if not enough licenses are purchased. Make sure you shop around and test it before you commit. The customization is great, once implemented. You don't need to customize your process for the software. "We absolutely love Surround SCM for our software development needs"
We love how easy it is to integrate with our software development language. We are moving into .NET and will still use Surround SCM for our needs We love the reports as well. The only part that I would say is when doing a side by side difference, it isn't as easy to understand or see the differences in full. Please try Surround SCM, they have a great product. We write software for the company we work for. Surround SCM is a great tool for version control. "Our company was struggling to track client features and bugs." The flexibility of the setup to enable you to customize the features to work as your processes do. Figuring out how to do some of the setup. TestTrack has enabled our support department to report and track client issues and resolution. It is extremely useful in prioritizing the next critical issue to resolve. This gave our company the ability to track every issue or feature in a collaborative manner. The direct benefit is you can look at an item and see the history of it. "My Experience with Test Track"
I like the flexibility of Test Track. I primarily use Test Track to track current/past work items into our code base. Being able to configure many tabs for each project I am working on is very helpful, and virtually anything I could imagine is achievable. This complexity does add to the overall "ease of use" of the product, but it is very powerful in what can be accomplished. I find the search functionality quite difficult to use within Test Track. I will admit, Test Track does have quite powerful and configurable searching capabilities, but it is not "quick and easy" as one would expect. I primarily use Test Track to track current/past work items into our code base. A large part of my job is having to look back at past tickets (sometimes up to 5+ years) to see when bugs may or may not have gotten addressed. Without have to go into the advanced search options (which is difficult to use for the average user), the results that are returned tend to be either too many or none at all. It would be nice to see better search logic go into the product, or an easier to understand advanced search. I primarily use Test Track for updating my progress when working on bug/enhancements within our software. A large portion of my job also requires me to go back and look at past completed tickets. This gives me a good idea about what has/has not been completed. That way, if a bug is discovered in an older version we can determine at what point (if at all) it was fixed in our software. "TestTrack is a good tool, with a few annoying bugs." Test Track is really good at organization tickets, and handling searching / sorting / filtering them. I really like the use of Folder and permanent tabs to keep tickets organized. For example, it's convenient to have a Folder for a large new feature to organize all work that will be done for that, and a permanent tab open that automatically shows me all tickets currently assigned to me. There are a few annoying bugs and limitations. For example, when using Test Track for the first time after waking my computer up for the day, I always get an error about the connection. It would be nice if it at least TRIED one attempt behind the scenes to reconnect. Also, the validation that's in place when editing a ticket doesn't allow you to validate that an action can't be performed until AFTER you've entered all the data. It'd be nice to be prompted that the workflow event won't be created BEFORE you're able to enter any data about it. We use Test Track to handle the tracking of all enhancements and bug fixes. I've seen the biggest benefits when working with large projects. In the past we had used spreadsheets, but that approach isn't robust enough to truly each task, manage relationships between tasks, and easily show remaining estimated effort. I like that it is very easy to do a trace matrix. -No way to undo if I accidentally add/delete an issue or a requirement. -No way to get 'history' of a requirements document. This is handled per requirement, which is a very limited way of looking at things. There should be a way of taking a 'snapshot' of the requirements document at a moment in time. TestTrack needs to be able to track requirements documents and folders more easily. It would be wonderful if there was a way to see what the requirements doc looked like a certain moment in time. Management of software requirements as well as bug reporting and handling. The ability to customize nearly the entire program is great. It is not always clear how to accomplish the task I want and I must read up on the topic, usually extensively, to resolve the issue. Be sure to understand how it integrates with other products and make sure to align yourself accordingly. We use it to track bugs and issues. It's integration into Surround SCM is extremely helpful and makes the combination of them quite powerful. "Easy to use tool for change tracking"
I like the extensive configuratbility which does not take away from its ease of use. We use Test Track to mange all changes and defects for our medical device software. "Not so bad for defect management!!" Whole defect tracking process seems good for this tool. It provides required functionality which needed for tracking any defects in product based company. But I am not so much impressed with this tool. Actually custom plugin is hard to install. Also not providing reach functionality compare to other defect tracking system like bugzilla. Seems ok to me. I would recommend this tool for for small to medium level company. But for big companies it would be good go with bugzilla or jira. We have tried this tool for implementing defect management system in our company. But right now we are not using this. We switched on other product. "Great for Change Control for Software"
At this time we are not solving anything but I will check back in the future and update my post once we have the product fully utilized. We want to assist you in whatever way possible regarding your evaluation, so please contact the Seapine Support group or a Seapine Sales representative with any questions you might have. "Generation of Software Test Cases and Tracing of Avionic Requirements"
The TestTrack tool is an easy to use easy to learn intuitive tool, that helps your organization in keeping track of your requirements and generation of test-cases. It can be tailored to meet your Quality Assurance System and Documentation needs, and are therefore also suitable for small and midsize companies with a need for Requirements- & Testcase tracing. Access into changing attributes is sometimes a little troublesome, and the the export/import tool could also need some improvements. Generation of Software Test-Cases in an Aviation product, and I have realized a reliable track between Requirements and Test-cases , also when requirements are changing stage or context. "A very happy long time user of TestTrack"
It can be customized to meet our specific workflow and field usage needs. It is very fast, especially when using the locally-installed client app. We have had some issues with upgrades in the past, when migrating from one DB type to another. We use TestTrack for all of our feature tracking, bug tracking, and time spent by our design, dev and QA resources. It allows us to monitor upcoming releases, but is also efficient at providing us history of past projects or releases, including the amount of effort - very useful for estimating new projects with increased accuracy. Test Track has been a great systems to work on. I would highly recommend this as it helps keep track of all pending request and status. The workflow is great and customizable. I love that I can link requests. I would like to be able to search link requests by the Link ID. I just found out recently that I am not able to do this. Being able to stay on top of time sensitive requests and grouping them accordingly with mutiple people working on the same project. "Powerful workflow. But I find the UI lacking." Not enough places for notes. We end up using "Steps to reproduce" to store a summary of requirements for example. Flexibility and it's modular implementing. I was coding a an API interface to TestTrack (one for initial data population from preexisting system; and second - to extract some data and load in a third-part tool) and I was impressed with the easy of finding and accessing the required elements due to well thought logical structure of the underlying database. Under the sizeable user-load web interface may experience a slow down. "Reliable and well designed Source Control software"
My favourite part of Surround SCM is the visual tools to help with branching and file history. I use Surround SCM daily for use within my business for software development. The ease of comparing versions allows me to track down any issues fast. The dashboard is very useful. It rovides a quick look at what's going on for our change control group. Sometimes the search function acts up. I'll search for CR# 3193 & it brings up CR# 2192. Tracking changes are less cumbersome with the new version. "Full featured configurable software tracking software." I like the ability to create customer filters, link associated tickets and the configurability of the Test Track. Search is slow with many tickets. Users must close tickets before another user can edit the ticket. We use Test Track for tracking software bugs of software bugs and enhancements. The largest benefit for us was the configurability of the software for our particular use case. * We monitor all Helix ALM reviews to prevent fraudulent reviews and keep review quality high. We do not post reviews by company employees or direct competitors. Validated reviews require the user to submit a screenshot of the product containing their user ID, in order to verify a user is an actual user of the product. Hi there! Are you looking to implement a solution like Helix ALM?